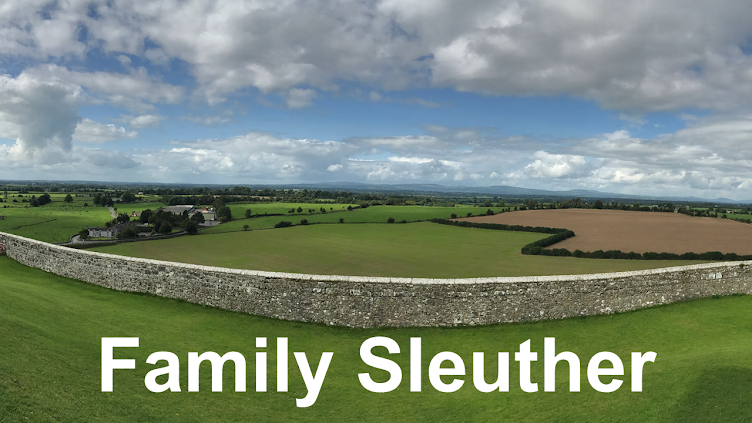 Family Sleuther: Genealogy Blogging Like It's My Birthday! Genealogy Blogging Like It's My Birthday! At first I was surprised then disappointed to learn that I had missed my June 4th blogiversary. I like celebrations and I like family history. Overlooking the two combined was an egregious party foul. But I have a good excuse. I was too busy blogging my family history. No kidding! On June 4th, I hadn't forgotten about my blog. No, quite the opposite. I spent a considerable amount of time that day tending to my blog: responding to blogger comments and drafting a new article. The work of blogging had me so occupied that I simply spaced the significance of the day. Of course, there have been recent changes in the genealogy world that played a teeny role in my absentmindedness. In early May, Thomas MacEntee announced that major changes would be coming to his brainchild GeneaBloggers. Blogging was in decline, he said, and his business necessitated a shift in how he served his bottom line. Many of GeneaBloggers' features would be retired, so he could pursue new ventures. Among the changes was the retirement of MacEntee's GeneaBloggers Twitter handle, which is how I was often reminded of my blogiversary. Without that reminder tweet, my day of days simply slipped my mind. It's hard to believe that it's been four years since I published my first piece under the Family Sleuther nom de plume guerre. When I started Family Sleuther, blogging was already a fragile landscape. In 2009, The New York Times wrote that the great majority of blogs were inactive with "95 percent of blogs being essentially abandoned, left to lie fallow on the Web, where they become public remnants of a dream — or at least an ambition — unfulfilled." MacEntee's shuttering of GeneaBloggers came fast on the heels of genealogist Julie Cahill Tarr number-crunching the vitality of genealogy blogging. She determined that 350 blogs in her reader (blogs she follows) hadn't been updated in the past 30 days. Furthermore, over 60% of those blogs hadn't seen a post in the past year. The takeaway? It's easy to start a blog, but, as Cahil Tarr's numbers show, a steep climb to sustain it. What happened to genealogy blogging? The Facebook, of course. Social media is where it's at. It's where the people are and it's where the genealogy groups are convening. With Facebook projected to hit 2 billion monthly users in 2017 and host to nearly 11,000 genealogy-centric groups, it's only natural that family historians would gravitate to the platform in droves. Yes, perhaps the migration is at the expense of blogs. However, as Amy Johnson Crow assures us, social media hasn't killed blogging. It's just changed the landscape. We only need to harness the evolving system to continue driving traffic to our blogs. Me? I'm just over here blogging to my heart's content (and, apparently, oblivious to my blogiversary). Since Family Sleuther's inception, I've published nearly 150 posts and logged almost 100,000 blog visits. In the past year, I've published 50 posts, and, since January 2017, one post each week. Sure, these numbers likely pale in comparison to many of my blogging colleagues, but, as an amateur (with a full-time non-genealogy career) contributing to an apparently dying art form, I'm pretty proud of these stats. But I don't do this for the numbers. I'm a history fanatic who loves sleuthing answers to mysteries. I do this to bring the story of my ancestors to life, and log it for posterity's sake. If I hook a few cousins along the way who can help me tell these stories, that's a welcome perk. Besides, the landscape may not be so grim. News has come that GeneaBloggers has morphed into GeneaBloggersTRIBE, which will carry on some of the features of the previous site, including shout-outs for blogiversaries. My heart (and preoccupied mind) were gladdened to see this familiar shout-out trumpeted across social media. So we can, for now, party on! I don't understand the current buzz of "blogs are dying". Admittedly, my blogs have lied fallow for more than a while (I like to think I have a good excuse, and hope to revive them soon), but I still get bursts of traffic from people googling particular surnames. Yes, everyone is on Facebook now, and that makes it an excellent platform for extending the reach of a blog. But it doesn't mean you have to move from one to the other. They can play together very nicely. Same with Twitter, Instagram, Pinterest, Tumblr. They're just different audiences, sometimes overlapping, that we can reach from a single starting point--a blog. I wholeheartedly agree! I think blogging is alive and well, and social media is just another means for driving traffic to blogs. So, indeed, blog on! Happy Blogiversary Bud!!!!!!!! Woo HOO! Party like a Rock STar! Thanks a bunch, True! 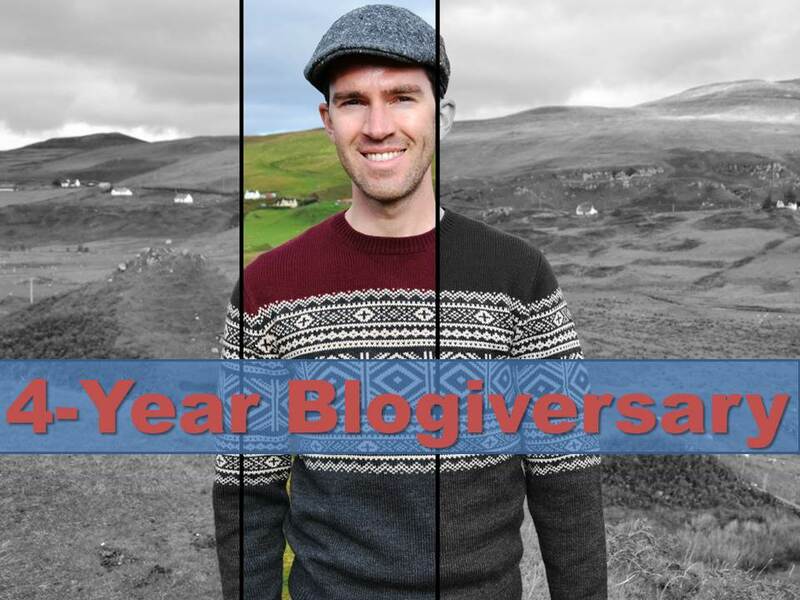 I appreciate the blogiversary love. Thank you, Jana! I appreciate your well wishes (and including this post in your Genealogy Fab Finds). Happy Belated Blogiversary to Family Sleuther and to you, Michael. Thank you, Cathy! Glad for your kind words on this occasion. I am also still blogging---twice a week. I don't even bother with numbers. I don't care about that. I blog because it's the best way for me to process and organize my research findings and because it attracts input from new cousins, other genealogists, and my family. Facebook is great for asking a quick question and for sharing my blog, but it's not the same as forcing yourself to write about your family and your research regularly. Blogging Forever! I agree with you on all counts, Amy. You hit the nail on the head: it's the best way to process and organize research findings and elicit input from trusted genealogy colleagues. Blog on! I blog as a way to get my family's story in some sort of order. But I mostly blog for the fun and to try and give helpful advice when I can. But perhaps the major reason I keep blogging is the people I meet and some of the great blogs I have been introduced to. So lets keep on blogging and having fun. You make a good point: blogging does a fantastic job of growing our networks, connecting us to distant cousins and fellow genealogists. These networks can play a key role in solving family mysteries and advancing our research. Happy blogiversary. I've lived long enough that I've seen just about everything declared dead:Broadway, movies, radio, conversation, history, even God....those prognosticators seem to be those who can't adjust when things change. Change is dynamic. Dying is not. Hear, hear! You make a great point, Vera. Change is inevitable and those who resist very likely do see things as dying, but really it's just the way they did things in a static unchanging world passing on. That's just not healthy - certainly not for family history research. Keep blogging! Facebook and Twitter and Instagram all have a niche they fill. But blogs provide a unique and important function, and (in my opinion) a way to share ideas or work out a research problem that just can't happen in those other places. And an added bonus is that a blog provides a lot better forum for ensuring that discussions stay on topic, civil, and respectful. You're right, blogging can serve an important function for genealogy. I definitely have used this blog to work my way through a handful of research problems. Thanks for cheering me on, Mark! 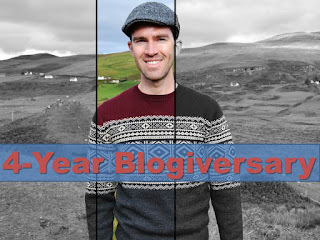 Happy Belated Blogiversary! Looking forward to many, many more posts from you. Thanks, Amy! I owe my sustained blogging effort to the motivation inspired by your 52 Ancestors series back in 2014.